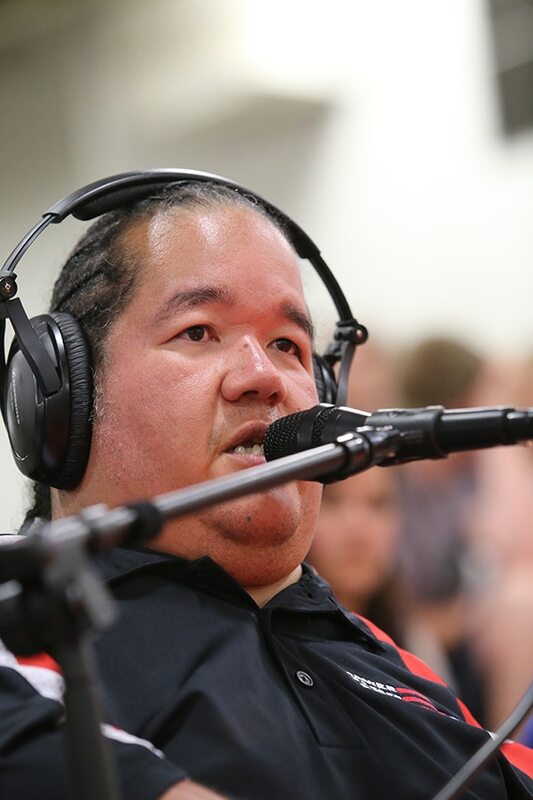 Editor’s Note: When wheelchair user Tony Jackson’s original career plan didn’t work out, he went back to school to pursue broadcast journalism at Arizona State University. However, finding a job post-graduation, even after having gained valuable experience with the campus radio station, proved arduous. 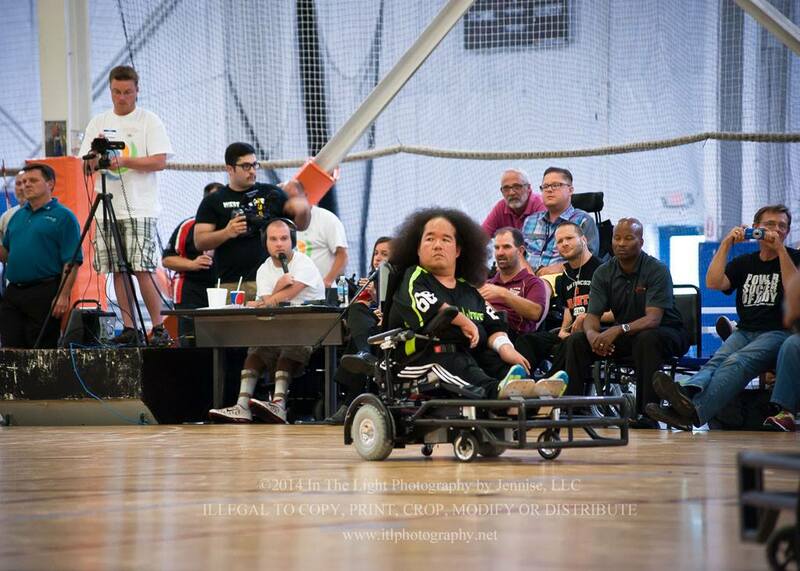 Joining a power soccer team a few years later would open doors leading him to a string of job opportunities and eventually the birth of ParaSportsLive. On my birthday in 2007, I went to a Major League Soccer game with my brother and some friends. 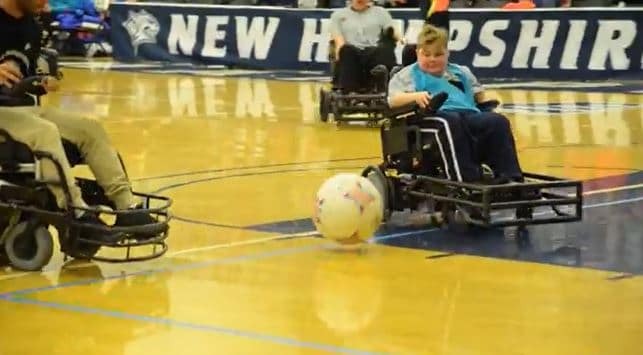 When the man sitting next to me saw my wheelchair, he asked me if I’d ever heard of power soccer. Somebody on campus at ASU had told me about it a few years prior, but at the time, I didn’t think it would fulfill my competitive needs, so I kind of dismissed it. This guy at the MLS game handed me a DVD and said, “Watch this. If you like what you see, go find a team in your area.” The DVD sat on my desk for a couple weeks before I decided to watch it. When I finally did, I realized it was exactly what I was looking for. So in 2009, I found a team and started playing. The man at the MLS game, Jerry Frick, became a great friend and mentor. Him giving me that DVD changed my life. I still play today, and I also coach for Northeast Passage, a nonprofit organization in New Hampshire. Over the first couple years that I started playing, I became friends with the owners of a company called Power Soccer Shop, who is the main manufacturer for power soccer equipment. They knew I had a radio background, so they approached me in 2012 and asked if I’d broadcast a national tournament for them in Minnesota. 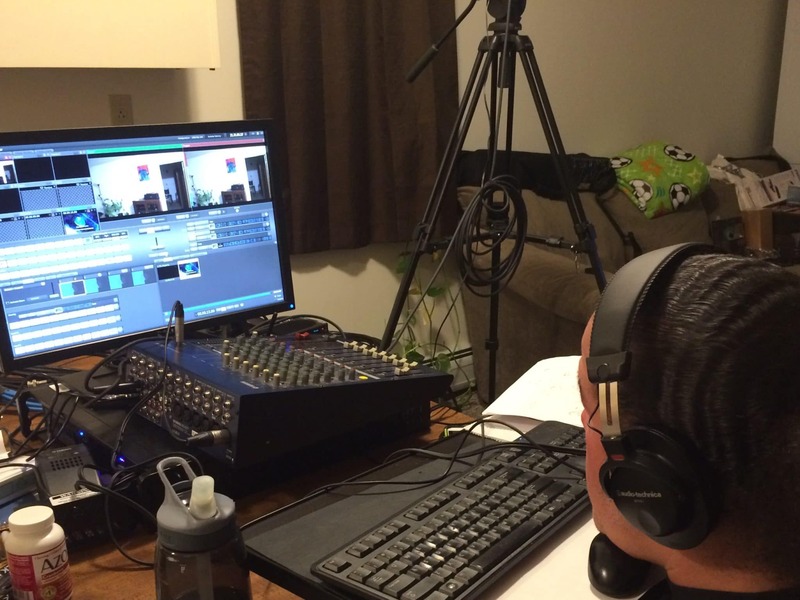 I hadn’t ever done live streaming and we didn’t really have a good setup; it was basically someone filming on an iPad and me with a gaming headset calling the game as I saw it. I had a good time with it, and the next year, they asked me to come do it again. Right before the tournament, I moved to Minnesota to work full-time for them, and I’ve been live streaming ever since! 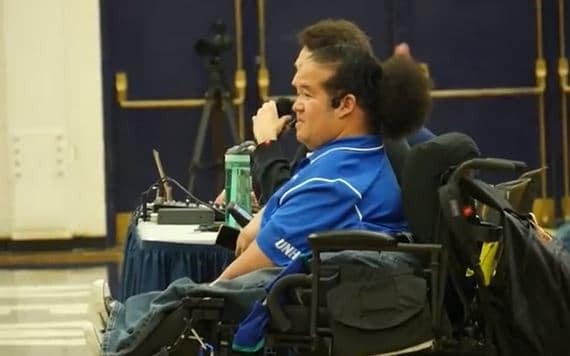 I’ve gone to Europe and South America to broadcast tournaments, and even though I no longer work full-time for Power Soccer Shop, I still do the play-by-play for the national tournament every year for them, in addition to international competitions. 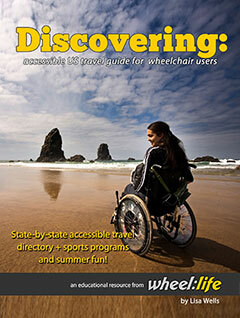 ParaSportsLive will deliver the adaptive sports experience to you. 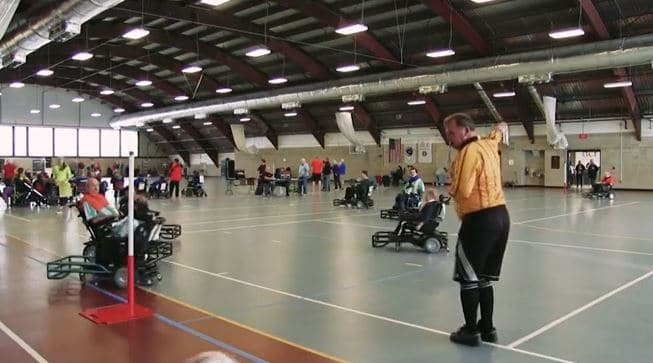 Adaptive sports athletes train hard and display amazing feats of strength, discipline, and a commitment to excellence. We will give you the opportunity to see these athletes for yourself, no matter where you are. 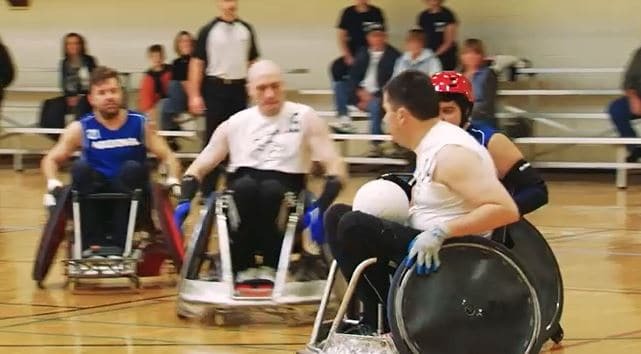 I have fairly decent knowledge of other adaptive sports through watching games and through friends who are athletes. A little while ago the idea of doing something like this came about. Not considering myself an entrepreneur, starting my own business always seemed kind of daunting. I was talking to a friend of mine back in February and told her about the idea, and she said, “You should just do it.” So I woke up the next day and registered a domain name, and that was the start of it. One of the reasons I started ParaSportsLive is because I’ve seen so many online spectators comment positively when I do power soccer live streams. People thank us because, for whatever reason, they’ve never been able to watch a family member or friend play before. I looked at that and thought there had to be other people out there who want to see these competitions. We athletes train really hard, and some of us have reached elite levels of our sport. A lot of these sports only get seen by spectators who are physically present at the games, so I thought live streaming events might have some weight to it. There are multiple competitions every week around the country that don’t get any live stream coverage. The other big reason I started ParaSportsLive is because I see other people experiencing what I went through when I was looking for a broadcasting job and couldn’t find anybody willing to give me an opportunity. I have other friends with disabilities who graduated college with broadcast journalism degrees who want to do TV or radio, and the opportunities just aren’t there for them. How often do you hear someone with a disability behind the microphone, or see them in front of the camera? 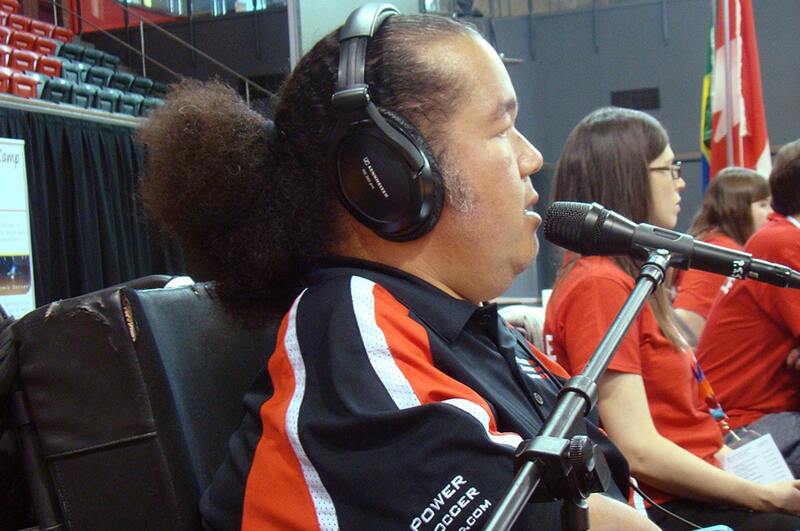 I want ParaSportsLive to provide those opportunities to people. I’m not the first one who has wanted this opportunity, and I certainly won’t be the last. At the national tournament this past year, a kid who is about 10 years old asked me if he could come up and broadcast with me. He’s been playing power soccer for a couple years now, and I had met him the previous year at a tournament. 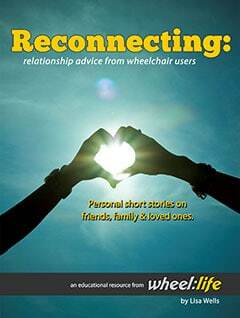 We had bonded because we happen to have the same disability, Arthrogryposis. I wanted to give him a moment to come in and try out broadcasting to see what it’s like, so I brought him upstairs for an exhibition game. I asked him some questions, and he said some things on air. His parents thanked me later for giving him the opportunity and told me he had a really good time doing it. If he decides he wants to be a sports broadcaster one day, I wanted to show him that it’s a real possibility. In addition to selling advertising, I’ll be asking for broadcasting fees from the organizations that host the events. This will be a little tricky because most organizations don’t have much money. I want them to see the production I put out there and the effort that goes into it. This first live stream is going to be fairly modest compared to what I want it to be, because I don’t have much of a budget, but I’m going to make it look as good as I can with what I’ve got. I want people to see what I do and realize it’s worth the investment. Not only will it help the sport, but it will help their organization as well by getting their name out there. I’m hoping I can make a name for myself and more importantly, make a name for ParaSportsLive. Eventually, I want ParaSportsLive to be big enough that I don’t have to go anywhere. I envision covering events around the world. I’d like to have teams located in different places that I can call and send to various events in their area to cover them. 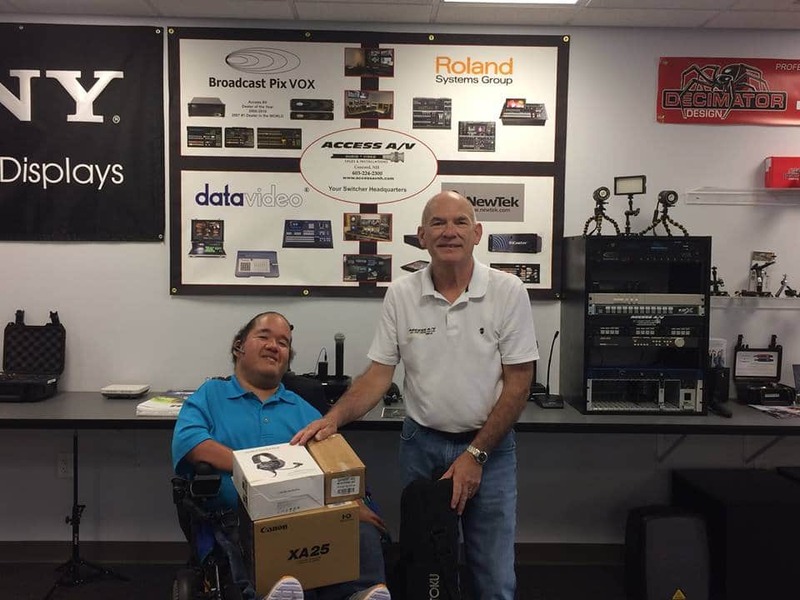 That’s where it ties into giving other people with disabilities an opportunity to work in broadcast media. If I’m covering competitions every week, I can’t fly to all of them, so I want to be able to call people up and assign them to cover events. 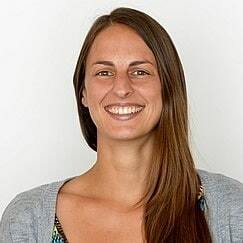 Editor’s Note: To contribute to ParaSportsLive’s mission of bringing adaptive sports to the world through live stream, donations can be made to its GoFundMe campaign at www.gofundme.com/parasportslive. If you’re interested in having ParaSportsLive cover your adaptive sports event, send an email to events@parasportslive.com. If you’re looking to advertise or partner with ParaSportsLive, get in touch at advertising@parasportslive.com. Editor’s Note: Follow ParaSportsLive online for the latest news and links to upcoming live streams! Check out their Website, Facebook, Instagram, and Twitter.